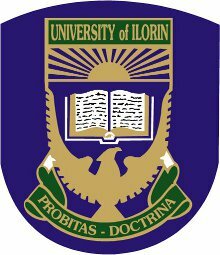 The University of Ilorin is a second generation University with a current student population of over 50,000. The long-term plan is to make the University fully residential with the support of private investors who are encouraged to Build, Operate and Transfer (BOT) within an agreed period. This idea is fast yielding positive results, as a number of these investors already have their presence on campus with structures accommodating over 6,000 students. The University owned hostels are 5 in number and are run on a village system (from Village I to Village V) with a little close to 4,000 bed space capacity. Village I (Male hostel):Made up of five (5) compounds (A – E) with capacity to accommodate 880 students – including launderettes and kitchenettes. Village II (Female – Lagos hostel): Made up of five (5) compounds (A – E) with capacity to accommodate 880 students including – launderettes and kitchenettes. Village III (Abuja and Kwara): Made up of 4 blocks (Abuja A, B and C) and Kwara D) with capacity to accommodate 348 and 86 students respectively. Village IV (Zamfara hostel): Made up of 7 blocks (A – G) with capacity to accommodate 720 students. 2. Village V (Trunil):Made up of 5 blocks with self-contained rooms (A – E) with capacity to accommodate 240 students. The hostels have over the last ten (10) years been managed by a private investor whose tenure will come to an end by July 2018. Hence, the University is offering a new window of opportunity for same or other investors to partner in operating and managing the hostels. vi) Engagement of Porters and Security personnel that are well trained and cultured for work in a University environment, particularly in handling students’ related matters. Investors will be required to visit the Student Affairs Unit and by extension visit the hostels for assessment or inventory-taking before making submission. This is to ensure that investors have a holistic overview of the services required by the University.